Your journeys here were filled with tough battles and exciting quests that forged you into a citizen of Dalaran. But after all that, after reaching the top, have you ever wondered if you are truly the best? Is there any left to challenge you? One of you has asked that question and suggested a great battle to find the answer. Typhus wants to everyone to ‘Fight For Your Life’ on June 5th in the ring of the Gurubashi Arena in Stranglethorn valley, at 19.30 ST. The rules are simple – everyone against everyone, only level 1 allowed. The winner will receive a hoard of 10000 golden coins in-game from our host. Such an extraordinary event will be filmed and streamed – Twitch.tv/shaunb19 and will be hosted again if enough interested participants join. Do you want to prove your worth under the same conditions as the rest? Do you want to ‘Fight For Your Life’, surrounded by enemies on all sides? Do not miss the event! You’re invited to either participate or spectate the first arena mini-tournament, organized by one of the Dalaran Citizens. Let’s start a monthly battle organized by players, for players. (Because being part of the community is not always about helping each other). 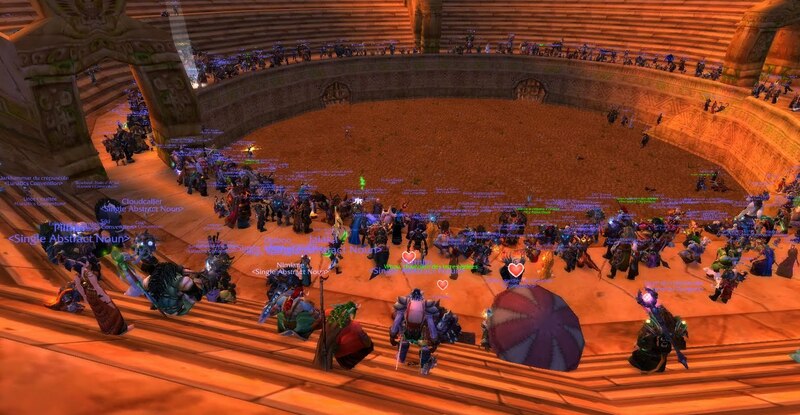 Should you have any question regarding the event, feel free to ask them here (http://www.dalaran-wow.com/forums/community/general-discussion/topic/5582/fight-for-your-life). Dalaran-WoW staff has approved the event and is promoting it, but the event content and organization will be handled by Typhus. We hope to see more of our players come up with cool and interesting ideas to spice up the everyday life in Dalaran. We already have more than 500 subscribers in our YouTube channel. Thank you all! Remember that if you subscribe, you can see some of the videos recorded by our players (PvE encounters, PvP, events, etc…). We will keep uploading more videos sent by the community; from some guilds showing their Ulduar feats and achievements to our particular Iron-Man’s adventures(Relaxingshadow). If you have a video from our server and you would like to see it published through the official Dalaran WoW channel, Social Networks and our website’s Media section, just send an e-mail with the link to dalaran.community@gmail.com.